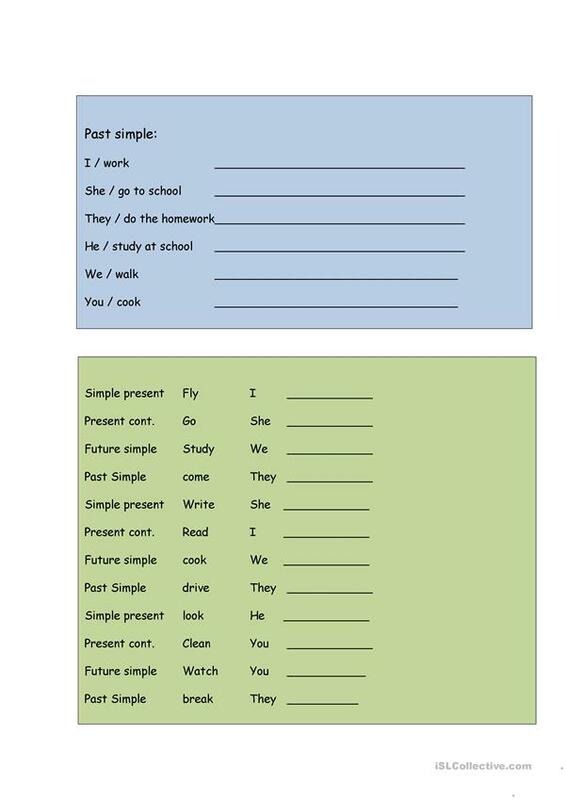 Easy worksheet that contains present simple, present cotinuous, simpla past and future. 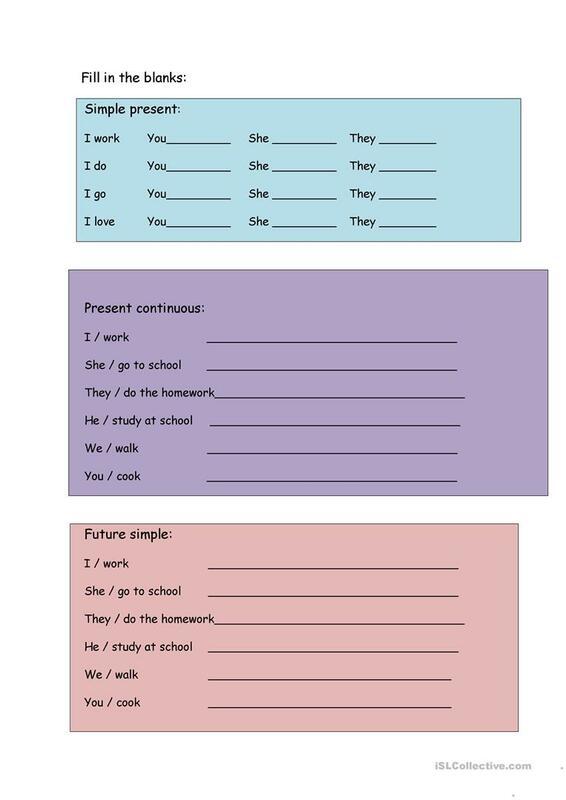 The present downloadable worksheet is best suited for high school students, elementary school students and adults at Elementary (A1) and Pre-intermediate (A2) level. It is valuable for teaching in English.  vicky76 is from/lives in Spain and has been a member of iSLCollective since 2011-03-10 03:07:15. vicky76 last logged in on 2019-04-22 12:03:32, and has shared 18 resources on iSLCollective so far.